The buffet will run from 5-7PM, after which you will be asked to leave the venue, as there is a New Years Eve Party afterwards. In order to stay past 7pm, you MUST purchase a ticket to the late night event in advance and cannot purchase on-site. Buy tickets to Dallas BBQ New Years Eve Dinner party event this New Year's Eve. 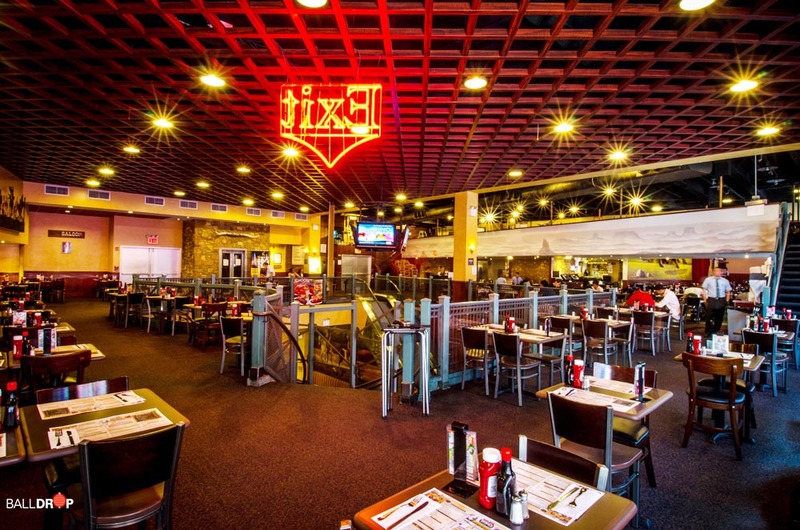 Make this New Year’s Eve a fulfilling one at Times Square’s Dallas BBQ Dinner event. 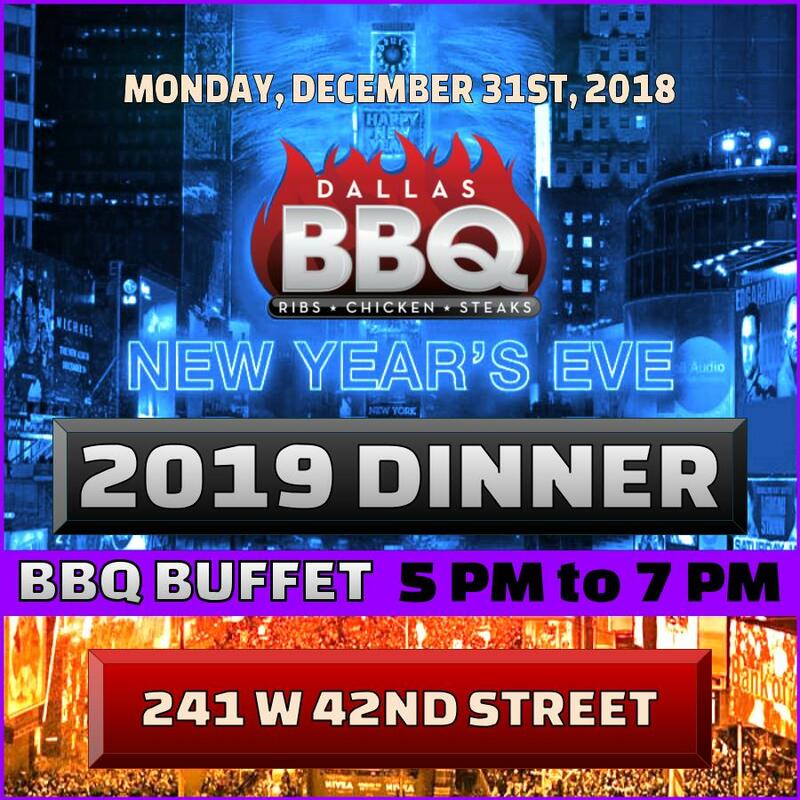 A New York City dining favorite, Dallas BBQ is serving up a delicious, all-ages dinner party that will satisfy your hunger for good food and NYE fun. Whether you’re chasing the bustling Times Square NYE lights, fueling up for the New Years festivities ahead, or gathering for family-friendly revelry, Dallas BBQ has the NYE feast that will hit the NYE-celebration spot. Get your pre-advanced tickets now before it sells out. 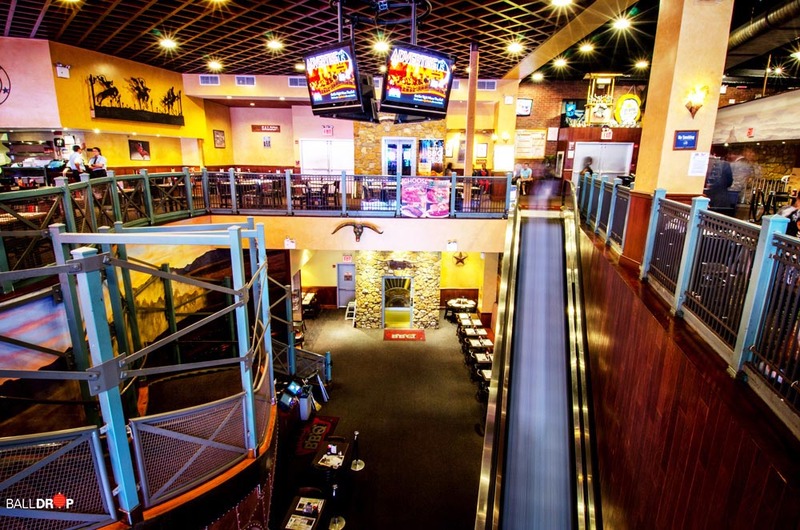 Dallas BBQ is a NYC specialty and its Times Square location reflects the excitement outside with a creative and casual interior featuring neon signs, giant murals and HD TVs. With two roomy levels, there’s plenty of space to enjoy some Western hospitality and, of course, the restaurant’s renowned, Southern cuisine-inspired menu. This New Year’s, indulge in a two hour prix fixe menu of Dallas BBQ’s lip-smacking favorites and start the New Year with relish. Note: You are purchasing (1) ticket for a prefix dinner at Dallas BBQ that starts at 5 PM. You will have a 2-hour time frame for dinner. There is a late night party that starts at 8 PM and you will be asked to leave by 7 PM. If you would like to stay past 7 PM, you MUST purchase a ticket to the late night event in advance and cannot purchase on-site. You will need to purchase a ticket for each guest in your party. Dallas BBQ will provide full Open Bar Service through the duration of the evening with Mixed Drinks, Pineapple Crush, Margaritas, Piña Coladas & Daiquiris, Draft and Bottled Beer, Wine and Champagne.